The opening salvo in the Absolutely Nasty series of crossword puzzle books, Level 1 is a real zinger, for experienced puzzlers looking for something a bit more challenging. 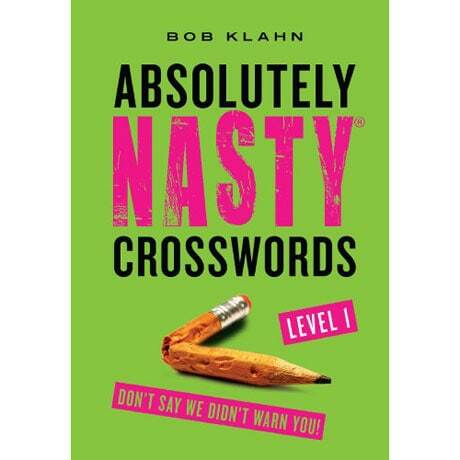 Bob Klahn, a mathematician and the cofounder of the syndicated CrosSynergy puzzle publisher, is known for his tricky clues, and here he tests crossword fanatics with everything from trivia teasers to witty wordplay. The 72 puzzles here originally appeared in his treasury The Wrath of Klahn.